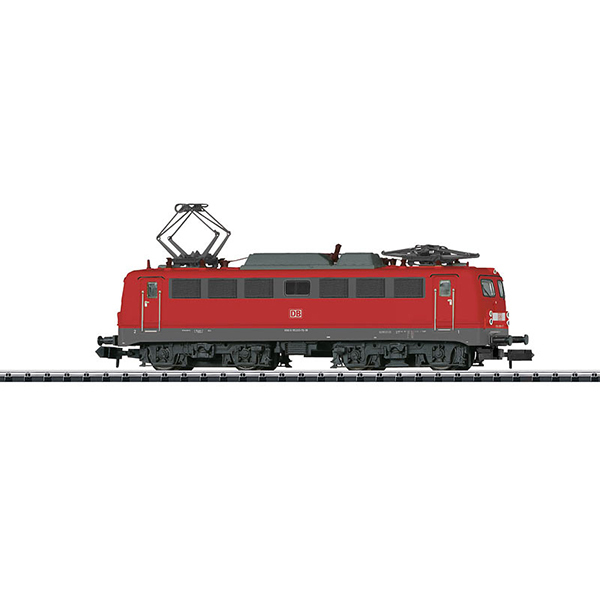 Prototype: German Railroad, Inc. (DB AG) electric locomotive, road number 115 205-7 (class E10.1). B-B wheel arrangement. Built starting in 1956. Use: Long distance passenger service. Model: The locomotive has a built-in digital decoder and sound generator for operation with DCC, Selectrix, and Selectrix 2. It also has a motor with a flywheel. 4 axles powered. Traction tires. Warm white LEDs are used for the headlights. They and the marker lights change over with the direction of travel. All of these lights and the engine room lighting can be controlled digitally. The locomotive has a close coupler mechanism. All of the functions can also be controlled in the digital format SX2. Length over the buffers 103 mm / 4-1/16". Highlights: Digital sound with many functions.